Mold is present almost everywhere you are, however, many people are completely unaware of its presence in work, home, and public environments. Whether indoors or outdoors, mold spores are a constant in our lives. Mold is a fungi that functions in our environment to breakdown organic materials and recycle the nutrients found therein. Resources such as paper, wood, dirt, leaves, and other organic material are key in the growth and reproductive process. Molds often grow off of older molds. Mold spores lift airborne to populate new colonies or stay in place to increase the growth of its current colony. Color variations are due to the type of fungi and sometimes the material on which it feeds. The most common colors appear as variegations of green, gray, black or brown. Other interesting color variations include the white toxin found on wood and the vibrant blue found on citrus fruits. Mold can cause serious health issues. If you are experiencing respiratory issues, you may be experiencing a reacting to mold. Symptoms include dry skin, wheezing, asthma attacks, strong coughs, and irritation of the nose and throat. Some indications of mold present in your body are respiratory problems such as wheezing, dry coughs. If something looks or smells like mold, be cautious and treat it like a mold and get it out of your house quickly! “survey an entire planet for these microorganisms”? This may take some planning. I would bet that mold ‘families’ only appear like families. There is probably amazing distinction between different ‘members’ of these families. Much in the same way all chimps look alike to the average person, but to someone around them a lot they learn to see very clear differences. Mold can cause serious effects in household environments in very little time. There are many disinfectants which have been proven effective against the surface growth of mold, as well as other viruses directly related to respiratory infections. While much research has been done on the efficiency of cleaning products in general, antimicrobial “Green” products have yet to be established. Green products claim a number of advantages over traditional surface disinfectants (TSDs) which include the reduced emission of volatile organic compounds (VOCs), the reduction of worker injuries, lowered toxicity to aquatic life, and improved biodegradability (Green Seal, 2006). Yet there is still concern among professionals about mold damage. While routine cleaning involved the application of a surfactant solution and physically removes some of the surface virus, an application of (TSDs) is required in order to control the spread of the virus or mold. Because TSDs are sprayed or wiped on hard surfaces, the area—especially if it is a food contact surface—must be rinsed following the application. Keep in mind that the removal of visible mold hardly ever means that the spores are completely gone. In order to contain mold in small areas, continue to clean using TSDs on a regular basis. Green cleaning products are certified by the organization Green Seal. The need to sanitize during general surface cleaning is subject to various opinions. This advice, however, is based solely on the control of the flu virus and mold spores and does not consider cold viruses or mold growth as a factor. In schools where GCPs are required, some custodians and teachers continue to apply TSDs to general use surfaces as a precaution. Light, Ed. “Efficacy of ‘green’ cleaning products with respect to common respiratory viruses and mold growth.” Journal of Environmental Health 71.9 (2009): 24+. Gale Science In Context. Web. 15 Feb. 2011. 1. Identify the source of the water that feeds the mold. This can be anything from plumbing, roofing leaks and even foundation leaks. In a basement foundation leaks are the most common cause of leaks. 2. Divert or control the mold water source. There are many opinions on how to waterproofing and you will always be safer to defer to a professional waterproofer. 3. Clean up any molded debris and dispose of them in a way that prevents contamination of other areas. 4. Do not immediately reapply building and finishing materials such as drywall and carpet. Continue inspection and allow the areas to fully dry. 1. 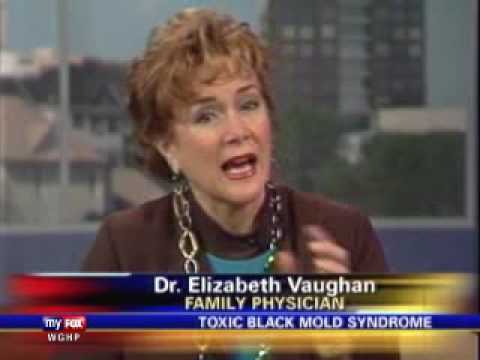 “Toxic Black Mold” is purely hype. There are numerous molds that are highly toxic. I personally react instantly to Acremonium with headaches and dizziness. There are a few different strains of these assumed to be toxic mold, some of them dark green. The “Toxic Block Mold” talk is trivializing molds overall danger. 2. When asked by the interviewer what one should do if they think they have a mold problem the good doctor pointed her to a magazine. A magazine! She then said that people should “find someone about toxic black mold and get some help”. The problem is that nobody is really knowledgeable enough in all this to help. Doctors would chase symptoms as the person gets sicker and the mold inspectors would simply identify it and repeatedly clean it up for you for a nice fee. If you have mold you must stop the source of water. If the water is stopped the mold will die rather quickly. Experienced mold remediation companies can discover the source of water and prevent it from further causing damage. This is always the first step unless physical symptoms are serious. A doctor can only treat the symptoms while eliminating the mold (mold remediation) is the only thing that will stop the problem at its root. Article compiled from information provided by Dr. Steve Stephenson. ACCORDING to the Insurance Information Institute, an industry organization based in New York, there are more than 10,000 mold-related lawsuits pending in state courts across the country. And while most of those suits were filed in states like Florida, California and Texas — where weather conditions make it easier for mold to get a foothold — some New York lawyers say that multimillion dollar jury awards in some of those cases seem to be inspiring an increasing number of mold-related claims here. As a result, property managers and lawyers who represent co-ops, condominiums and owners of rental buildings are doing everything they can to ensure that the buildings they represent will not wind up in a mold-related lawsuit. Greg Carlson, executive director of the Federation of New York Housing Cooperatives and Condominiums, said that mold may be present in just about any building and may even be more likely to grow in newer buildings than in older ones. Another reason newer buildings may be susceptible to mold, Mr. Carlson said, involves the building materials used. In older buildings, he said, the plaster used for construction of interior walls is less likely to provide a good breeding ground for mold. In newer buildings, on the other hand, where wallboard is commonly used for interior walls, the paper backing provides an ideal environment for mold if that paper becomes wet. Dr. Joseph Q. Jarvis, an expert in public health who is affiliated with the University of Nevada School of Medicine in Reno, agreed. “My experience has been that when you get a lath and plaster wall wet, it’s less likely than a Sheetrock wall to grow mold,” Dr. Jarvis said. He explained that there are “three possible outcomes” when people are living in a “moldy” building. Another possibility, he said, is that people exposed to mold spores will develop irritation in their eyes, nose or throat. “Mold is an irritant,” Dr. Jarvis said. “And the irritation causes things like red eyes, runny or stuffed nose, sore throat or hoarseness.” Such symptoms can persist, he said, for as long as the irritant is present. The third possibility, he said, and one that is least frequent, is that people can develop an allergic respiratory disease. “Mold is clearly an allergen,” Dr. Jarvis said, adding that among the problems exposure to mold can cause are allergic rhinitis (also known as hay fever), hypersensitivity pneumonitis (an inflammatory allergic condition of the lung tissue) and asthma. “You have to remember, though, that there are a lot of people who have allergic respiratory diseases who haven’t gotten them from indoor mold,” he said, adding that any number of other allergens can be the cause of such a problem. Moreover, Dr. Jarvis said, while the term “toxic mold” is often used to describe a type of mold that can be quite dangerous — and even lethal — if it is swallowed, he has never seen a case in which that type of mold was present in such quantities that simply inhaling it would produce a toxic effect. Nevertheless, co-op and condominium lawyers are looking at the number of mold lawsuits being filed and are naturally getting nervous. The concern was confirmed recently when a unit owner in a luxury Park Avenue condominium filed a $400 million lawsuit against the condominium association, its board and the building’s architects, engineers and developer. The suit alleges that mold in the building damaged the unit owner’s property and injured his wife and child. Ms. Talel explained that since a co-op corporation owns the building, the corporation has more legal exposure to liability than a condominium association, which typically owns only the common elements in its building. Thus, she said, while mold inside the walls between two apartments would probably be the responsibility of the corporation in a co-op, it is likely to be the responsibility of the unit owners in a condominium. At the same time, she said, if a common element is the cause of the problem — for example, a leaky pipe in a wall between units — the condominium would probably be liable. “You also have the issue of the warranty of habitability in a co-op,” she said, explaining that since a shareholder is basically a tenant of the co-op, the corporation has an obligation to provide a habitable apartment. And when a serious mold problem occurs in a co-op building, she said, the corporation could be deemed to have violated the warranty of habitability, thereby making it liable to the shareholder. Yet another problem that co-op and condominium boards are encountering, Ms. Talel said, is that some insurers are eliminating coverage for mold-related problems in their standard policies. “You can still get the coverage,” Ms. Talel said. “But you’re going to pay a premium for it.” For example, she said, a 150-unit building with a good claim history might pay $15,000 or more for a three-year, $1 million policy endorsement covering mold. “And that coverage could be twice as expensive or even unavailable tomorrow,” she added. Doug Weinstein, vice president of operations for Akam Associates, a Manhattan management company, said the most important thing a co-op or condo board can do to minimize the potential for a mold-related lawsuit is to react immediately to complaints about water leaks. And while immediate attention to leaks is critical, he said, it is also important for building maintenance workers to ensure that wet surfaces are given time to dry before any holes are closed up, even if that means the superintendent will have to make a return trip to an apartment after a couple of days. It is also wise, Mr. Weinstein said, for building personnel to inspect apartments adjoining the one with the leak to ensure that all surfaces in those apartments are dry. In cases where mold has already gained a foothold, building management must decide what, exactly, to do about it. Mr. Sitomer, the Manhattan co-op lawyer, said boards and managers should resist the impulse to immediately hire a mold remediation firm to eliminate any and all mold that may be found in a building. “The first thing we tell our boards is not to overreact,” he said. For example, Mr. Sitomer said, if mold is discovered in an interior cavity in a building — such as behind a wall or between a ceiling and the floor above — the first thing management should do is to conduct testing to determine whether there are hazardous levels of mold spores in the living area. If so, he said, there is probably no alternative but to eliminate the problem by removing the mold. On the other hand, Mr. Sitomer said, if the mold is not getting into the living areas of the building, and the source of the moisture that led to the formation of the mold has been eliminated, it might be better to leave the mold undisturbed until remediation can be tied into the building’s ongoing maintenance of renovation plans. “The most important element of a mold-management program is to educate and train building employees to be able to identify mold and know how to deal with it,” Mr. Sitomer said. This article by NC state university outlines how to prevent, detect, and clean up a major mold or flooding accident.